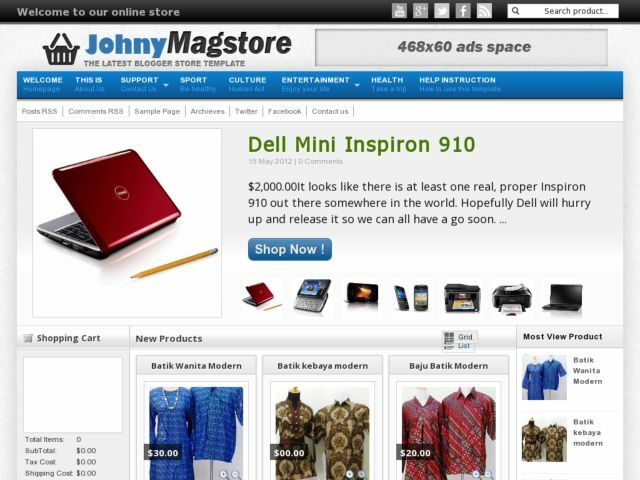 Johny Magstore Blogger Template is free e-commerce blogger template with best design and features which is suitable to sell product. This template has a lot of columns, sidebar is located on the left and right, there is also 4 columns in the footer, dropdown menu, shopping cart widget at top sidebar, ads space ready, social bookmarking icons ready on top and more. This template is suitable for shopping or business sites.